Included in every Ryte account! The term evaluation analysis (according to the TF*IDF formula) helps you to identify terms and keywords that are relevant for a web document and play a vital role for the ranking of a website in search engines. As to that, the formula works out how often a term appears in a document compared to other terms (Term Frequency). On the other hand, IDF (Inverse Document Frequency) works out the keyword’s weighting compared to all other documents saved in the index. The results are portrayed graphically and show all terms most frequently applied to the search term. Thus you can identify which further terms can be applied to the web document. Start off your term evaluation analysis and insert your keyword or URL right away. Optimize your content with proper keywords! Compare your keywords to those of your competitors. Find out whether the terms you are using are the right ones in order to generate the most traffic and to rank on top in search engines. Normally, users most frequently click on the first three search results listed. This is exactly why your web document needs to be relevant enough for users and search engines. A competitive comparison can help you with the textual optimization. Analyze all competitors who rank on the first page when searching for your terms. 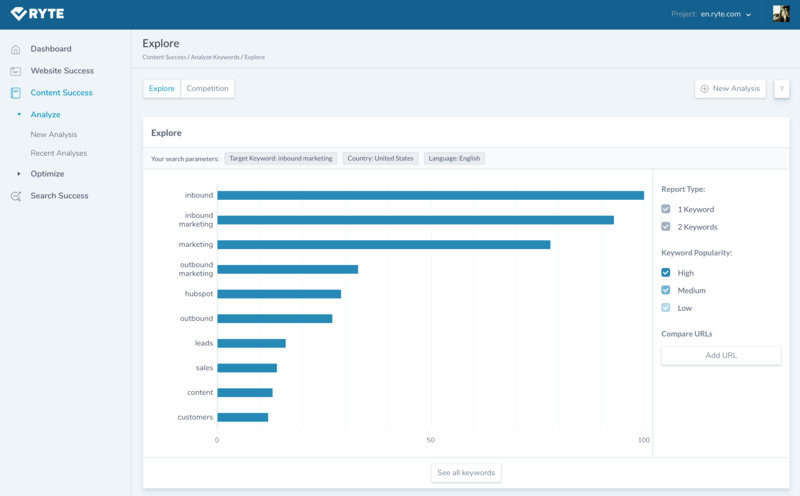 Keywords used by your competitors will be displayed in a chart. Every competitor will be marked with a different color. Determine for which keywords your site is ranking comparatively better and whether there is still optimization potential. “Content is King.” It’s the reason why users click and stay on a website and also what encourages them to share it. 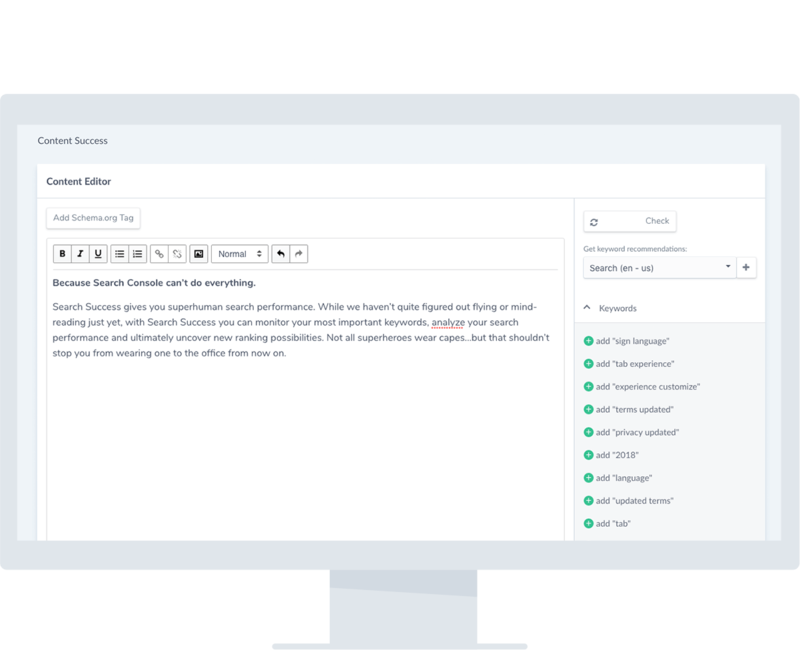 The Ryte text assistant can help your with your content optimization. Copy your text or desired source-code into the text assistant in order to get a recommendation on how to improve the content. For instance, the tool suggests numerous terms which should be added for a more comprehensive description of the topic. It also gives you a warning of too frequently used terms. Moreover, you will learn which already existing keywords can be used more often in order to ideally improve your ranking.